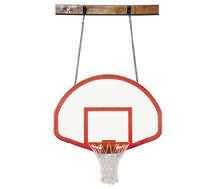 The First Team FoldaMount82 Rebound side fold wall mount basketball system combines old school good looks with explosive ball response off its fiberglass backboard, sure to be a hit! Approx. Shipping Weight: 490 lbs.